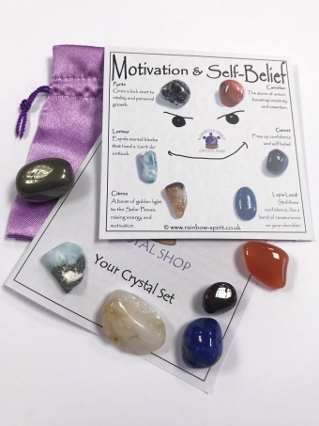 The crystals in this set have been carefully selected to complement each other and to provide a booster to motivation and self belief. The set includes six stones and a pouch, and comes with a mini print of the poster of information to explain each stone. This is one of our 'stock' items, so the photograph is an example of the set we will put together for you. 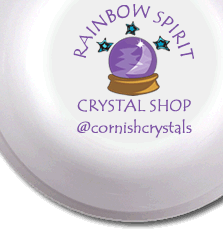 Your set will be made for you from the tumbled stones and natural crystals we have available at the time of order, so there will be variations in colour, shape and texture to those shown in the poster. The information we provide is based on our training, reading and clinical experience. It is offered for interest and as a guide. It should not be taken as an alternative to seeking professional medical advice. Always consult a doctor if you have symptoms that persist or worry you.